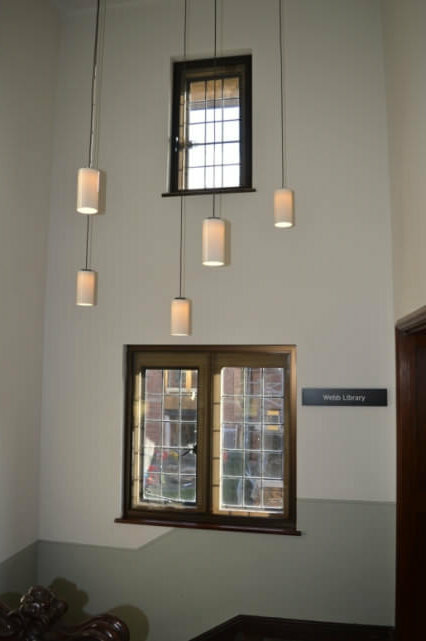 Jesus College, part of the University of Cambridge, contacted Selectaglaze for an ideal system to improve heat efficiency and sustainability in one of their Grade II Listed buildings. Jesus College is known for its Listed buildings, sustainable design projects, and modern architecture. It embarked on the West Court development in 2014 by obtaining the Grade II Listed buildings belonging to its neighbour, Wesley House. The College commissioned Niall McLaughlin Architects to design the plans and Cocksedge Building Contractors to refurbish and reconfigure the newly purchased site. The College wished to refurbish the Grade II Listed building to make it as heat efficient and sustainable as possible, while retaining its beautiful original features. Due to the building’s Listed status, creating a specific sustainable agenda with the introduction of insulation and secondary glazing posed some interesting challenges. The main contractor Cocksedge, approached Selectaglaze, the UK’s leading provider of secondary glazing, for advice and assistance. The primary windows were draughty, allowing heat to escape and suffered from noise ingress and egress. 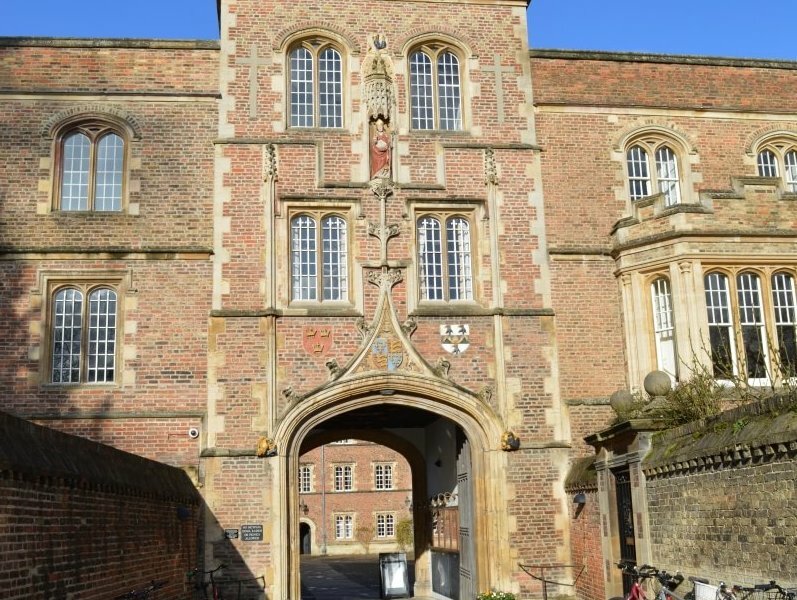 The College stipulated that the original materials and architectural design were to stay and that the secondary glazing had to be considerate to the history of Jesus College. Selectaglaze had previously worked on the College’s Chapel Court student accommodation refurbishment, where it treated over 300 openings. As a result of this highly successful fit-out, Selectaglaze installed over 100 secondary glazing units in West Court. The original primary windows, iron casements set into stone mullions, look fantastic, so the secondary glazing could not detract from them. Both casements and horizontal sliders were chosen to provide the best match with the original design and to avoid the introduction of new sightlines. Finished in anodised bronze, they complement the overall feel of the building. The College anticipates a reduction in its annual energy costs as a result of Selectaglaze’s work. In addition, secondary glazing is widely used to decrease noise ingress and it functions more effectively than new double glazed windows in most cases. Thus, those staying there have found the accommodation to be far more peaceful, with little or no outside distraction. Secondary glazing involves the fitting of an additional internal window inside the rooms of a building and is a fully reversible adaptation. As a result, it is widely accepted by most heritage bodies. Selectaglaze secondary units are available in a variety of styles and finishes. They are fully factory assembled; allowing rapid installation with minimal disruption to teaching schedules, and work is often arranged during holiday periods. Secondary glazing traps an insulating layer of air, which can reduce heat loss by 50%. With the introduction of low emissivity glass, U-values of around 1.8 can be achieved. High performance twin seals help to virtually eradicate draughts. In addition, noise ingress is significantly reduced. A gap between the primary and secondary glazing of at least 100mm achieves a reduction of 45dB – rising to more than 50dB if specialist acoustic glass is specified. Founded in 1966 and a Royal Warrant Holder since 2004, Selectaglaze is the prominent specialist in the professional application of secondary glazing to all building types, working closely with clients to meet their requirements on projects. Products are independently tested and certified so that clients feel secure in their quality and performance. Selectaglaze will be exhibiting at London Build, Olympia between the 25th and 26th October 2017. This two-day event brings together experts from the built environment to share and learn information about their industry. The Selectaglaze team can be found at Stand F29. For further information about Selectaglaze please click here.